Professional Baseball Instruction is holding a FREE WORKOUT Wednesday May 22 at 8:30 PM for high school players who are interested in playing summer baseball this year. If your son is between the ages of 14 and 18, or you know a high school player between those ages, this is exclusively for them. Our PBI Baseball League summer season is set to begin in just a few weeks. Here are the details on the different playing options we have for high school-age players. During the summer season, games will be scheduled for Monday through Thursday with no games scheduled for Friday, Saturday or Sunday. Weekends are free to enjoy quality family time. Our season begins 6-17-13 and finishes the week of July 29 for teams that make it to the finals. 1) Regular Varsity summer team – This is designed for current varsity players or rising high school seniors. 18 game regular season plus playoff games, pending qualifying. 2) Regular JV summer team – For current 9th grade players and good quality rising freshman, as determined by PBI staff. 18 game regular season plus playoff games, pending qualifying. 3) Jr Elite team – for 8th, 9th and 10th graders. This will be an aggressive team that plays a regular schedule of 18 games plus 3 tournaments. This team will play about 30 games during the summer season. 4) 17U Elite team – plays in showcase events. 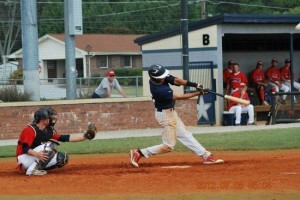 This team is designed for players who are looking to play college baseball. They will play 35-40 games this summer. This team is by invitation only and is reserved for top talent. 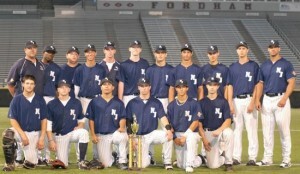 18U team – this is for graduating seniors who still wish to play baseball during the summer. All teams are coached by trained and qualified PBI coaches. We invite you to come to our FREE workout and see where you fit in for the 2013 summer baseball season. Please feel free to call Doug Cinnella with any questions or to sign up for the free workout at 201-760-8720 ext 100. We’re looking forward to a great summer of baseball.